The John Betlem family is pleased to announce a milestone – John Betlem Heating & Cooling, Inc. is celebrating 75 years of meeting the home comfort needs of the Rochester, N.Y. area. The company, which was started in the 1940s by John Betlem and spans three generations, has grown to serve the city of Rochester, Monroe County and the surrounding areas. John Betlem started the company in 1941, and John Betlem Heating & Cooling, Inc. grew from there. 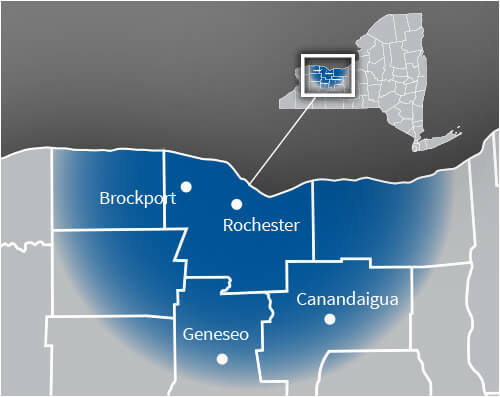 Today, they remain a family-owned-and-operated company, and serve all of Rochester and Monroe County, as well as parts of Wayne, Ontario, Genesee, Livingston and Orleans Counties. As a complete HVAC company, John Betlem offers a number of services, from repairing and installing furnaces, generators and AC units, to performing home energy assessments, to offering preventive maintenance programs. Currently, John Betlem Heating & Cooling caters primarily to the residential market, with around 10 percent of their customers being light commercial. They focus mainly on replacement of pre-existing units as opposed to new construction. The company currently employs 48 and operates a fleet of 34 vehicles. Technicians are highly trained at the John Betlem Institute, an on-site educational center that provides apprenticeship training. Robert Betlem owns John Betlem Heating & Cooling, and his children Kathy, David, Steven and Jim, as well as cousins Jim Lytle and Darryl Fishbaugh, are all a part of the company’s leadership committee. The company specializes in designing, engineering, and installing complete comfort systems for owners of existing homes and buildings. They take special pride in the craftsmen they train and employ–a fact customers notice immediately in the attitude and integrity technicians bring to the job site. The entire company works hard to make the customer experience both hassle-free and enjoyable. As a successful business, one of the most important things John Betlem Heating & Cooling, Inc. does is to give back to the community. They are an active supporter of WXX1 Public Broadcast TV, The Shepherd Home, Breast Cancer Coalition of Rochester and Equicenter. Additionally, the company supports such community organizations as the Rotary, and sponsors local racing, hockey and baseball teams. 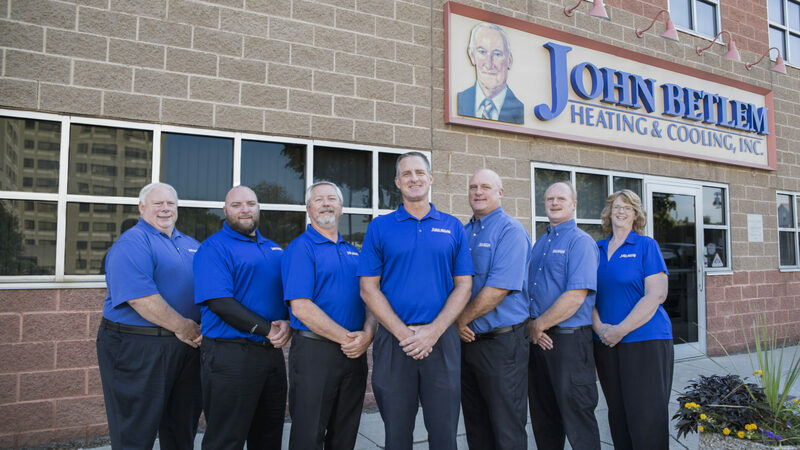 To learn more about John Betlem Heating & Cooling, Inc., visit them online at johnbetlem.com, stop in their showroom located at 898 Clinton Avenue South in Rochester, or give them a call at (585) 271-8888. As a Carrier Factory Authorized Dealer, our employees are knowledgeable in the latest equipment from Carrier, and how their products can solve your heating and cooling needs. Our technicians participate in on-going education and training from Carrier, to ensure they can install or repair any Carrier system quickly and effectively. North American Technician Excellence, or NATE, is the nation’s largest non-profit certification organization for heating and air conditioning technicians. NATE is the certification organization governed, owned, operated, developed and supported by the entire HVACR industry. We are proud to say our technicians follow the best practices put forward by this organization. Nearly 400,000 local businesses in North America support the BBB, and John Betlem Heating & Cooling is proud to be one of them. The BBB collects and provides free business reviews on more than 4 million businesses to over 100 million requests from consumers. Our stellar grade from the BBB reflects our commitment to customer satisfaction. The New York State Energy Research and Development Authority (NYSERDA), is a public benefit corporation, offering objective information and analysis, innovative programs, technical expertise, and funding to help New Yorkers increase energy efficiency, save money, use renewable energy, and reduce reliance on fossil fuels. We know our customers want to save money on their bills while protecting the environment. We feel the same way. You can trust we consider the most energy efficient solutions when we suggest heating and cooling solutions.